Light fog and freezing drizzle moved into the metro area Wednesday morning and the result has been scores of wrecks and spin outs. "There are more incidents than troopers," a MnDOT dispatcher was heard saying over the scanner. "You are on the list." Roads in south and east metro were littered with crashes between 7 and 9 a.m. The State Patrol shut down the ramp from eastbound I-94 to southbound Hwy. 61 for a short time around 8 a.m. due to a number of wrecks, the Minnesota Department of Transportation said. The ramp reopened about 45 minutes later. 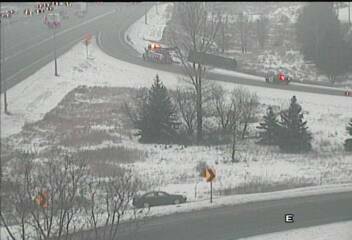 Numerous vehicles also slid off ramps along I-94 between Mounds Boulevard and Century Avenue. A box truck rolled off a ramp leading from Hwy. 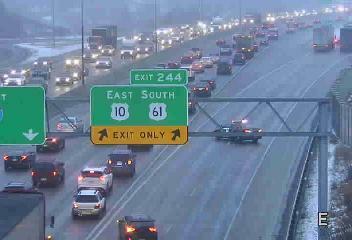 52 to eastbound I-494 in Inver Grove Heights. Treacherous conditions turned both directions of Hwy. 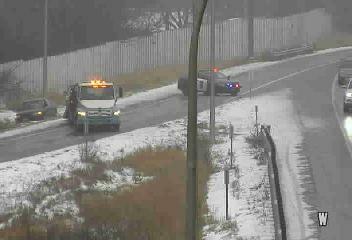 52 through West St. Paul into a skating rink while slick conditions hampered the drive on I-35E as well. Roads across the metro were partially covered with snow or ice,at 8:25 a.m. according to MnDOT.